Once i heard about Android Marketplace coming to Google TV (effectively putting Google in the lead for dominating the soon to be booming TV Apps marketplace) , i knew i was going to get it ( ive long wanted an apps marketplace on an Apple TV, but so far even the jailbreak community has failed to provide something easy to use ). So the same day that the CEO of Logitech announced that they are axing the Google TV hardware business and writing it off as a $100 million loss i went out to Fry's and got one. My thinking was that the hardware was going to be on sale, but the software platform with its new Google TV 2.0 release is going to continue growing with or without Logitech. The Revue was only $99 . That is $200 cheaper than the price it was at when it came out. The bad news is that once i unboxed it and set it up i realized that it was running Android 2.1 (and did not have the new Google TV Honeycomb 3.1 update installed on it). This ment that there was no android marketplace, and a pretty outdated chrome version. 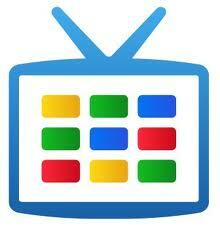 After some research, i luckily found a beta release of Google TV 2.0 (Honeycomb 3.1) and reflashed the Revue. Maybe i will do another post on how to get the Beta if you are not patient enough to wait for a few more week to get the official release. Stay tuned.